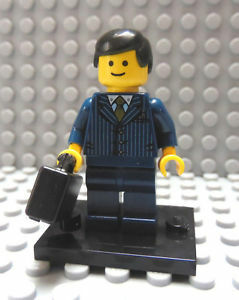 In a case in which he addressed the applicable statute of limitations for an underinsured (UIM) motorists claim, Judge James M. Munley of the Federal Middle District Court of Pennsylvania denied the carrier’s Motion for Summary Judgment in the case of Legos v. Travelers Cas. Ins. Co., No. 3:16-CV-1917 (M.D. Pa. Oct. 11, 2018 Munley, J.). Notably, the court held that the statute of limitations for a UIM is four (4) years from the date of the breach of the contract and not the date of the third party settlement. According to the Opinion, the third party case in this matter settled back in March of 2012. Over four (4) years later, Travelers sent correspondence to its insured indicating that it believed that the statute of limitations on the UIM claim had expired and that it was, therefore, closing its file. The insured nevertheless filed a breach of contract Complaint. Travelers eventually responded with a Motion for Summary Judgment asserting that the four (4) years statute of limitations had expired once four (4) years from the March of 2012 settlement of the case had run. The Plaintiff countered with the Pennsylvania Supreme Court case of Erie Ins. Exch. v. Bristol, 174 A.3d 578 (Pa. 2017), and asserted that the four (4) year statute of limitations actually commenced in 2016 when the carrier indicated that it was closing its file as that would have been the date of the alleged breach of contract. Travelers responded by asserting that the Bristol case only applied to uninsured (UM) motorists claims. Judge Munley disagreed and held that the Bristol case applied to both UM and UIM cases. State Farm Mut. Auto. Ins. Co. v. Rosenthal, 484 F.3d 251, 253 (3rd Cir. 2007), that the Pennsylvania Supreme Court would hold that the limitations period on a UIM claim begins to run when the insured party settles with an adverse party for less than the value of the insured's damages. However, Judge Munley ruled that the 2017 Pennsylvania Supreme Court decision in Erie Ins. Exch. v. Bristol, 151 A.3d 1161 (Pa. Super. Ct. 2016), rev'd, 174 A.3d 578 (Pa. 2017) served to clarify state law in the manner held by Judge Munley in this Legos case. As such, the court found that the UIM breach of contract claim in this matter was not barred by the statute of limitations. Consequently, the carrier’s Motion for Summary Judgment was denied. Anyone wishing to review a copy of this case may click this LINK. The Court's companion Order can be viewed HERE. I send thanks to Attorney Scott B. Cooper of the Harrisburg, PA law firm of Schmidt Kramer P.C. for bringing this case to my attention. Commentary: One troubling aspect of this decision for carriers is that Plaintiffs attorneys are already arguing that this decision basically eradicates any statute of limitations for a UIM claims. The argument is that, under this decision, the statute of limitation never begins to run until the Plaintiff advises the carrier of a desire to pursue a UIM claim and the carrier denies the claim or indicates it is not going to pay the Plaintiff's initial demand. Does such an argument further the goal of the statute of limitations to prevent the pursuit of overly stale claims? Does that seem like a correct application of the statute of limitations to you? What do you think?